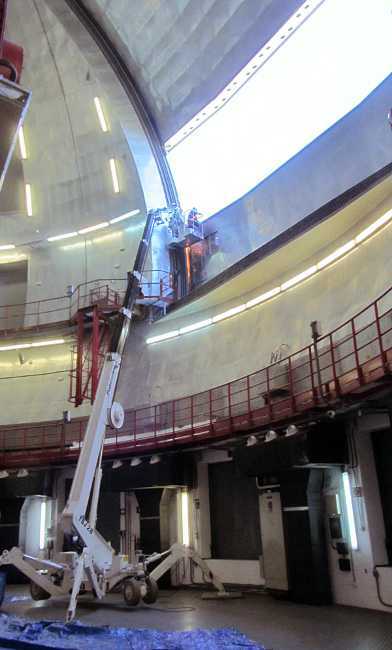 Work on the massive dome shutter of GTC. GTC has been open for five years, and the massive dome shutter has been getting some maintenance. This photo give an idea of the sheer size of the dome shutter.